San Francisco Opera’s new community initiative designed to promote civic engagement, is recognizing Compass Family Services for its impact in providing life-changing services and housing to families who are at risk of or experiencing homelessness. “San Francisco Opera believes in creating impactful, reciprocal connections with our Bay Area community. With ‘Earn Your Wings’ we hope to promote some of the critical work being done in our immediate neighborhoods of Civic Center and the Tenderloin by forming relationships with Compass Family Services . . . ” said San Francisco Opera General Director Matthew Shilvock. As a community partner in the “Earn Your Wings” campaign, Compass is participating in various activities built around the opera, “It’s a Wonderful Life” such as bringing families to its final dress rehearsal and later in the month to the special Family Day Matinee of the production. Compass is also participating in an Insight Panel hosted by San Francisco Opera in the Mission District’s ODC Theatre. San Francisco Opera is also joining in activities put on by Compass Family Services, such as our “Day in the Park” outreach event earlier this fall. And, as we approach the holiday season, San Francisco Opera audiences can engage with Compass’ year-end and holiday giving programs, such as our Adopt-a-Family program, which pairs individuals, families and groups with Compass families transitioning from homelessness who lack the resources to buy holiday gifts. 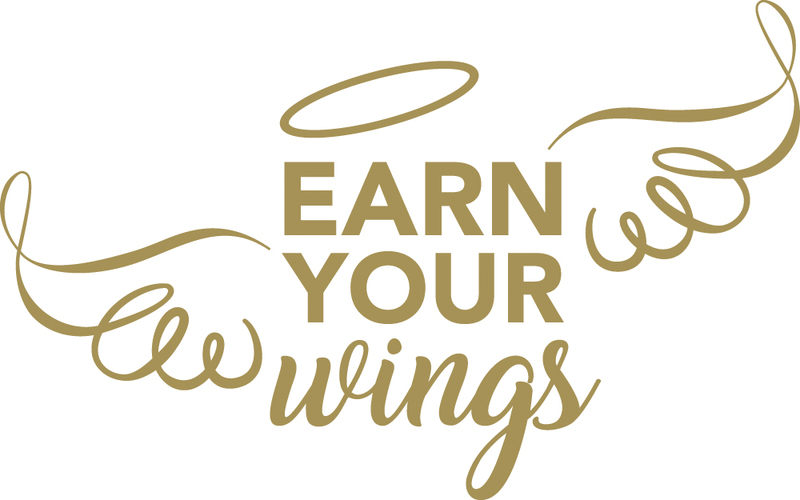 You can nominate someone special so they can earn their much deserved wings! #EarnYourWings is inspired by themes in San Francisco composer Jake Heggie and librettist Gene Scheer’s opera It’s a Wonderful Life (which is based in part on the classic Frank Capra film), opening at the War Memorial Opera House on November 17. In the opera, the angel-in-training Clara seeks to earn her wings by helping George Bailey recognize the profound impact he has had on the lives of people around him by giving back to his neighbors, colleagues and friends. November 10-18 is National Hunger and Homelessness Awareness Week. On a typical night, 549,000 Americans experience homelessness. Hunger and Homelessness Awareness Week is an annual program where hundreds of thousands of participants come together across the country to shine a light on the problems of hunger and homelessness. Whether you want to participate as a volunteer, a donor, or an attendee, there are lots of ways to get involved with Hunger and Homelessness Awareness Week. Compass Family Services invites you to follow us on Instagram and consider donating, or volunteering to find out how to get involved in the movement to end family homelessness here in the Bay Area.